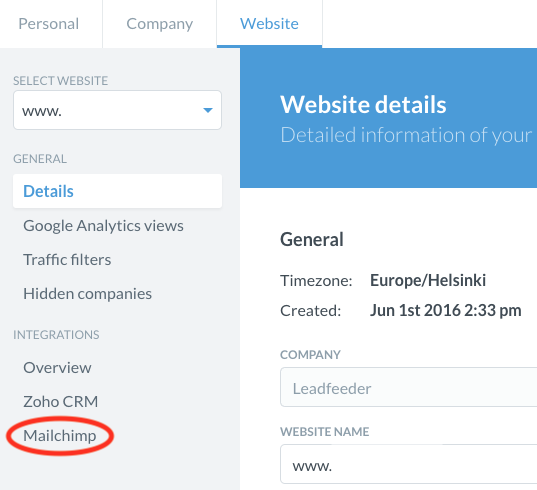 How can I add multiple Mailchimp account to my Leadfeeder? 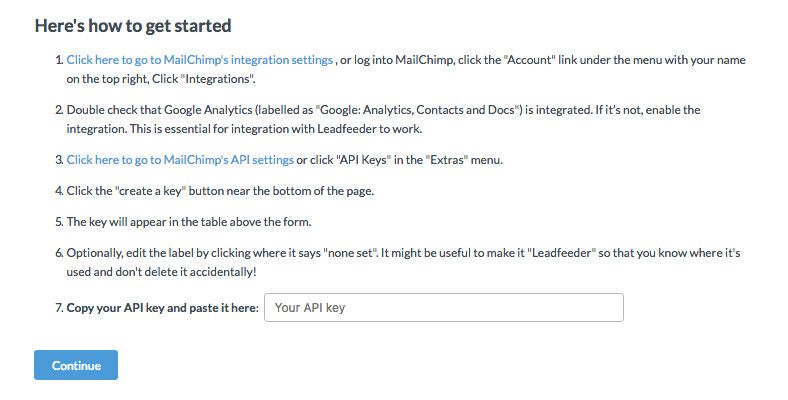 You can add multiple Mailchimp accounts to your Leadfeeder. 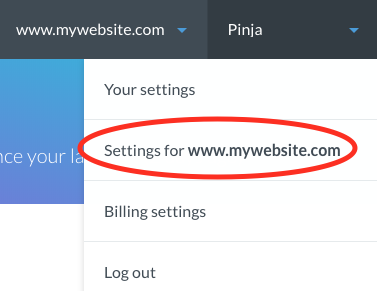 STEP 1: Navigate to your Mailchimp settings by clicking your name on the right upper corner and selecting Settings for... from the menu. STEP 2: Go to tab Website and select Mailchimp on the left side.